Posted March 21st, 2019 by Mobile Music School & filed under Educational - How to Guides. Now that we’ve mastered the basic of music literacy, we’re ready to move onto some more advanced music literacy rhythms this week! 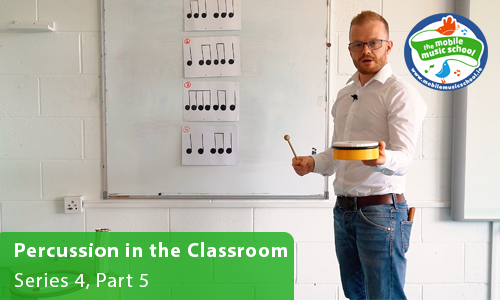 For this music lesson, we’ll be a sound shaker, claves, a shaker and one of our new frame drums.